Spartan Race Coming to SBR! Get Your Summit Visitors Pass Now for 2016! Get Your Summit Visitors Pass Now! Think You Know The Summit? There’s fun. And then there’s fun that challenges you, the kind that brings with it a satisfaction that lasts way beyond the activity. The Ropes venue at The Summit is all about that kind of fun…. As I drove to the 2013 National Scout Jamboree on Sunday, I went from the mountains of New York to the farmland of Pennsylvania before I came upon something special: the hills of West Virginia…. The 2013 National Scout Jamboree is no weekend camping trip. You’ll have a chance to experience all kinds of amazing ways to test your physical fitness and mental skill and ability with the activities offered…. What’s The Deal With Disc Golf? What’s The Deal With Mountainboarding? What’s The Deal With Packing The Jamboree Duffel? What’s The Deal With Sea Base? 2013 Jamboree: What’s The Deal With Day Of Service? For one day of the 2013 National Scout Jamboree, you’re doing a day of service. Here’s the deal with that: First, you’re a Scout. It’s what you do. Pitching in and helping—it’s in your blood…. Here are three apps I think you’ll be glad you have when you get to The Summit. A piece of rope is like a Swiss Army knife. Without the spoon. But only if you know your knots. Here’s a great tool to learn them. You can totally tap your inner Ewok at Jambo 2013. 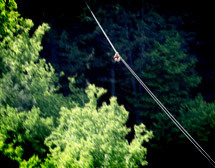 Just volunteer to be staff for the zip lines at The Summit during the 2013 Jamboree. Love mountain biking but want to try something a little different? Summary: You’ll have plenty of adrenaline-filled days here at the Summit. The Summit is gearing up for all levels of BMX enthusiasts, whether you’re an actual pro or just testing the rounds for the first time. In July at the Summit Shakedown we did one of the coolest activities that you can do at the anywhere: we went whitewater rafting. Check out how Elaina, who shows off some sweet moves in the New River Gorge, successfully took her climbing skills from plastic to the cliff. Luis, 16, and Jaymes, 15, two Scouts who participated in the trip, were brand new to all these high-adventure sports. But it didn’t take them long to warm up to the action-packed activities. …keep an eye on the Summit website for a full explanation of the 2014 program schedule and a chance to be among the first to register your unit for the Summit’s 2014 high-adventure programs. When most people think high adventure they think of backpacking, rock climbing, and mountain biking. But, as participants at the Summit shakedown learned, high adventure can be much more than the standard fare. 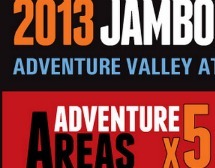 When we said we’d get this massive high-adventure project done in time for the 2013 National Jamboree, we meant it! 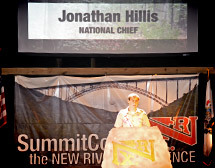 The Summit is nestled right next to the New River…which is home to some of the best white water rafting in the world. How Is Summit Construction Coming? …we’ve largely transitioned from the relatively slow work of moving dirt and laying underground utilities to the much more rapid work of putting the program venues together. A life-long Scouter from Clanton, Alabama, Jack Moore shares his transformative experience from the 1960 National Jamboree in Colorado. Listen to his story! We Made It To The Summit — Now What? The skills you’ll learn [in kayaking] can take you anywhere from a lake, to the wild whitewater, or over ocean’s waves. How’s that for adventure? What Wildlife Challenges Exist At The Summit? Unless you’ve camped in West Virginia previously, you may not be aware of the wildlife challenges common at the Summit. Who’s Ready For Rock Climbing At The Jamboree? Watch this video of feedback on the rock climbing at the Summit Shakedown. Want to try climbing at the national jamboree? This is just a sample! Your flight has been at a cruising altitude for a number of hours, and you’re well over the shimmering Pacific Ocean. Chuckling over some jokes in Boy’s Life magazine, the unthinkable suddenly happens: the plane begins to lose power! What is going to be like camping at the Summit Bechtel Reserve. This Patrol Z video will give you a good idea. What’s The Long-Term Plan For The Summit? Currently in the planning stages are a Leadership Excellence Center, a Better Body Better Life Center, and a Technology Center. When SummitCorps wrapped up in West Virginia at the end of July last year, over 1,000 Arrowmen had built almost 13 miles of trail. For every jamboree held at the Summit, each attending Scout will donate approximately 6 hours of service work to areas surrounding the Summit. Scouts from Fleur de Lis District in Southeast Louisiana Council took a weekend hike across the Naval Air Station Pensacola (NAS) in Florida. Patrol Z reporters used every tool they could to document the Summit Shakedown. Here are a few more pics from their Instagram feed. Patrol Z reporters Kevin M. and Patrick B. interviewed Summit Director Dan McCarthy during the Summit Shakedown. Watch the video for the inside scoop. Here are just 9 of the many faces documented at the Summit Shakedown — all based on the highly common smile. At the Summit Shakedown, Scouts and Venturers are all getting a taste of adventure — the Summit’s activities offer something for every level of ability. Patrol Z is using cool photo filters on Instagram to give you visual updates from the Summit Shakedown — look for @PatrolZ on Instagram. Patrol Z reporters Kevin M. and Connor M. stopped by a few historic sites on their way to the Summit Shakedown. Check out the photos! Within just a couple hours, what was an empty field became a tent city as hundreds of Scouts and Venturers set up for the Summit Shakedown. 2 Wisconsin Scouts wouldn’t let a full contingent stop them from making it to the Summit Shakedown — Patrol Z reports! Scouts and Venturers are on-site at the Summit. Here’s how you can join in and follow the experience. A Storm Can’t Stop Us! …for those of you wondering, there are no changes to our plan relative to the Shakedown. The Osprey Ace 48 is an ideal pack for overnight camping and backpacking adventures. Since climbing is a fun, yet somewhat risky activity with much to learn in order to keep everyone safe, these Scouts completed the training in just under 18 long hours of both vigorous studying of the Climb On Safely rules and hands-on training on their tower. What’s The Difference Between A Canopy Tour And A Zip Line? Summit Director Dan McCarthy fills you in on the details of canopy tours and zip lines you’ll find at the jamboree — an just exactly what that means. What’s All The Focus On Mountain Biking? Smart use of water resources is a key part of sustainability at the Summit. This graphic shows the path of use and reuse for every drop of H2O. This Scout says his favorite part of the 2010 jamboree was meeting Scouts from another country and learning about their culture. 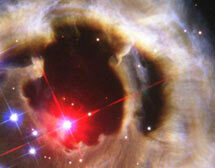 Listen to the audio! As part of the Jamboree Fireside Stories project, Wisconsin Scouter Bob Cheek shares memories from 5 different national Scout jamborees. Give a listen! I keep hearing the question, “Why don’t we have hot showers at the Summit?” I can answer that with one word: sustainability. The jamboree is going to be more than green, it’s going to be deep green. I joined Scouting as a Cub Scout in, well, let’s just say it was over a half-century ago. I’ve been active in Scouting ever since, having served at the unit, district, council, regional and national levels. Spring fever is setting in here in the New River Gorge, and that means it’s time to get the chain oiled up on the bikes. If you’ve been to a national Scout jamboree, then you know what a big deal it is. It probably figures into your memories of Scouting in a major way. There will be gallons of different ways to get wet at the jamboree. Will you be able to jump into them all in 10 days? For a pack under $150 that can last your entire backpacking career in Scouting, the Osprey Kestrel 58 is a pretty decent deal. Sustainability is going to be a big part of the experience at the 2013 jamboree. It’s even going to have its own exhibit and activity center. Ask yourself, are you prepared? Just in case you answered “no,” here are a few suggestions to get you started as we move into spring. Is shooting sports a favorite Scouting activity of yours? Read more to find out specific details about shooting sports at the Summit. Scouts of Troop 185 have many adventures to look forward to from sailing and canoeing, to cycling and climbing, but they regularly take adventure to the next level. Sea Scouts is part of Venturing whose members focus on sailing, maritime skills, and of course, having fun. When Troop 108 raises funds to go to Florida Sea Base, they don’t mess around. What cool or innovative fundraisers is your unit planning? Looking for the perfect gift your family or friends? Check out the “Meeting Me At The Summit” Acrylic Curly Tumbler. 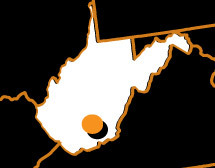 What’s the easiest way to fly high in the sky in West Virginia? Yep, it’s a zip line canopy tour. Indoors or outdoors, good weather or bad, hiking or biking; there isn’t always a need to carry a huge pack that has tons of space. The BSA Patrol/Troop First-Aid Kit from Adventure® Medical, a well organized and stocked first-aid kit, is suitable for up to 6 people on almost any troop event. Want To Fly At The Summit? You’ve heard about Mayhem Mountain, and how you can catch some big air at the Summit’s high-adventure basecamp for BMX and skateboarding. 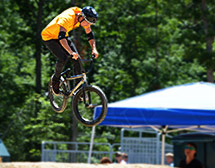 But just in case that isn’t your style, there is another way you can fly at the 2013 jamboree. In earlier segments of this Venturing to the Summit series, we watched as members from Venturing Crews 32 and 44 from North Carolina worked and played in and around the New River Gorge. Chilantakoba Lodge, Order of the Arrow, from Southeast Louisiana Council recently held its Annual Fall Fellowship, themed James Bond: Quantum of Fellowship, at Camp V-Bar on December 2-4. You’ve already seen Venturing Crews 32 and 44 from North Carolina help restore some of the natural habitat near the Gauley River National Recreation Area. Scouting for Food, an annual service project rooted in the founding principles of Scouting, helps thousand of families in need. Located in northern Minnesota and in Canada, Northern Tier is your adventure headquarters of the north. Where can you go to see one of the most significant and well-known battlefields of the Civil War in person? Gettysburg of course! Check out images from the 38th Annual Fall Fun Rally in St. Louis, Missouri. Did You Know LEGO Bricks Are A Part Of Scouting? What do you get when you have thousands of LEGOs, 2 Twister mats, a karaoke system, section officers from around the Northeast and a weekend filled with total awesomeness? In this edition of Adventures in Service: Venturing to the Summit, Crew members learned the basics of paddling, boat handling and safety from local West Virginia whitewater guides. Ever wondered how to build the perfect mountain biking trail? Here’s our answer. Project COPE (Challenging Personal Outdoor Experience) has been a favorite in Scouting at summer camps, and for troops and crews that want a little excitement when it comes to a day in the woods. This summer, an estimated 38,000 Scouts representing 150 countries joined in Kristianstad, Sweden for the 22nd World Scout Jamboree. 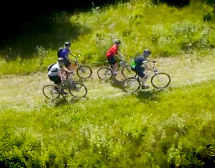 Check out this debut video of the mountain biking experience on Adventure Mountain at the Summit Bechtel Reserve. Though Scouting isn’t all about tying knots, for Shawn Killian, a correctly tied knot can mean the difference between fun and accident. 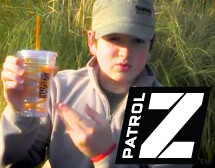 What Is Patrol Z?You might not have known it, but a lot of the stories, photos and videos you see here on this site were thought up, created and edited by Scouts and Venturers just like you. In this series of Adventures in Service, you will meet Venturing Crews 32 and 44 from North Carolina, as they helped with bit of forest re-vegetation in the NRG. It’s a new home for the jamboree. It’s a new high adventure base. It’s a new century of Scouting. All of that calls for some brand new gear. Want to know where the Summit Bechtel Reserve got the lumber used to construct buildings on site? We’ll give you a hint: You don’t have to look far. Enjoy some aerial shots of the Summit Bechtel Reserve, as well as some great images of the progress being made on the ground in West Virginia. Do You Know What SUP Means? In the world of water sports, one stands above the rest — literally. The sport is known as stand up paddleboarding (SUP for short). On July 7-9, 2011, the Montana Council’s K-M Scout Ranch hosted a camp for Venturers and high adventure. In this series of Adventures in Service, you will get a chance to meet Venturing Crew 911 from Cincinnati, Ohio, as they help out with the Wounded Warrior Project. Philmont Scout Ranch is the largest of the Boy Scouts of America’s national high adventure bases. Are you coming the New River Gorge anytime soon? If so, you should get to know what kinds of animals you might run into. Throughout the month of July, nearly 1,500 Boy Scouts of America Order of the Arrow volunteers traveled to the New River Gorge for SummitCorps: The New River Experience. What’s it worth to earn your Eagle Scout rank? Well, for some, it can be worth about $52,000 over 4 years of college. Thousands of spectators turn out to watch BASE jumpers leap from the New River Gorge Bridge. Here’s a photo gallery from the event. David (Dave) Evans, an Eagle Scout from upstate New York, may seem like your average guy. Excitement is building for the Summit Bechtel Reserve, and with lots of hype about whitewater rafting, zip line canopy tours, biking trails and hiking trails, who wouldn’t be? What Do Salamanders, Texas And The OA Have In Common?